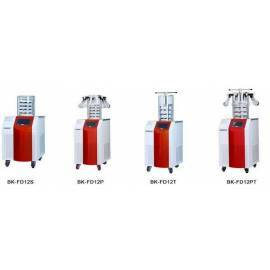 Freeze dryers vertical BK-FD12 Series. Models: standard camera (BK-FD12S), standard camera with 8 manifolds (BK-FD12P), chamber with stoppering (BK-FD12T) and chamber with stoppering and 8 manifolds (BK-FD12PT). Two versions per model: -55 ░ C and -80 ° C temperature min. Shelf of precongelación. Vacuum < 0.1 mBar. Ability to trap cold 9.5 L. Capacity capture of water 4 kg/24h. Fluid capacity 1.2 L, or 0.9 L (models stoppering). 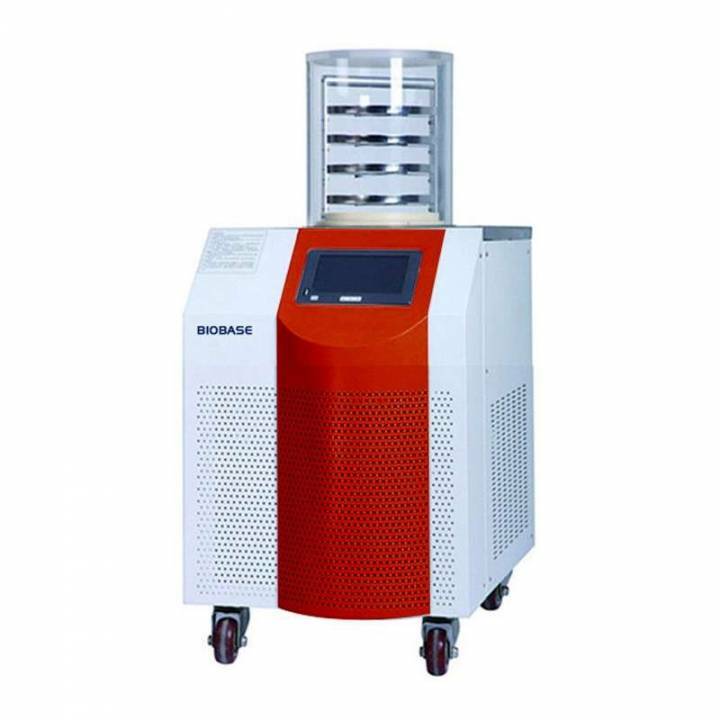 Size (diameter/height) trap cold 215x260 mm, camera freeze-drying 260x310/450 mm and trays 200x20 mm touch-Screen LCD. USB for data export. Vacuum pump 8m3/h. Includes manifolds (depending on model). Optional: flask lid conical. The price shown is for the model BK-FD12S (-50ºC). For other models consult the drop-down.